Spectrum, the final neighbourhood by Eastown is now launching. 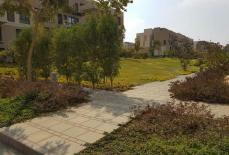 Spectrum is located on Road 90 and adjacent to AUC. 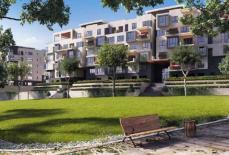 Apartments vary from 130 m2 to 220 m2 and have views on open spaces and greenery. Spectrum is also near by EDNC, the commercial, retail, and entertainment district. Spectrum is also just a few minutes away from Eastown's clubhouse. Apartments are available for sale. At the centre of Eastown’s commercial area is Eastown Hub. It will house designer names, lifestyle shops and gourmet delicatessens. Adjacent to the new campus of the American University in Cairo and near Cairo International Airport, Eastown will become the vibrant hub of the New Cairo district. Eastown also contains EDNC. The Life of New Cairo With its location and product offering Eastown New Cairo will become New Cairo's neighborhood of choice. 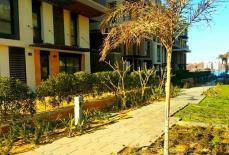 Eastown New Cairo is strategically situated on Road 90, immediately adjacent to the American University in New Cairo, a short drive from Cairo International Airport and in the midst of the flourishing communities of New Cairo and Kattameya. Built on 860,000 square meters of land, twice the size of London's Canary Wharf, Eastown will provide premium residential, retail and office space while offering the best in shopping and entertainment. Adjacent to the new campus of the American University in Cairo and near Cairo International Airport, Eastown New Cairo will become the vibrant hub of the New Cairo district. And because Eastown New Cairo is just a 20 minute drive away from Cairo International Airport, residents and business people with an international element in their lifestyle will feel right at home. The heart of Eastown's New Cairo vision is to provide its residents with contemporary living spaces that are safe, functional, and attractive and within easy reach of urban essentials .Eastown New Cairo Residences is Eastown's New Cairo purely gated residential neighborhood. The homes harness the beauty of their surroundings, while reflecting the overall sense of community suited for people with different needs, tastes and lifestyles. 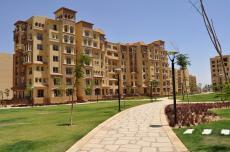 A secure and gated master community monitored and patrolled by EDARA Security Services. 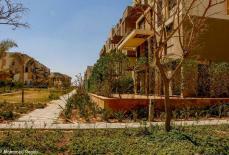 The neighborhood is gated and secured by a perimeter fence with controlled access for residents only. Safe, pedestrian-friendly roads. Eastown Clubhouse: Residents can enjoy membership at the Eastown Clubhouse just a short walk away from their homes. 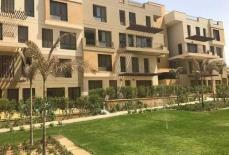 Eastown New Cairo Clubhouse features swimming pools, sports facilities, restaurant and a café. On-ground parking spaces for residents. Access points for gardening and maintenance. Extremely durable and washable exterior facades. Facades designed to conceal AC units. Connection point for installation of triple play services.